Beating Lyme: 16 week fat loss challenge..... day 1 !!! www.Hypersmash.com 16 week fat loss challenge..... day 1 !!! 16 week fat loss challenge..... day 1 !!! I've written a fair bit about the new sporting challenges I've taken on in the last couple of years; stair running and recumbent bike racing. I feel now I've got the energy and determination to really get fit so that I can be competitive in these sports, especially in stair running. To be competitive means getting in good shape and getting down to a good, lean racing weight. 2.5 years ago I weighed 103kg. I've done well since then and have got down to 91kg. Of course that is a much healthier but I'm still about 10kg above where I should be. At 103kg I was obese. 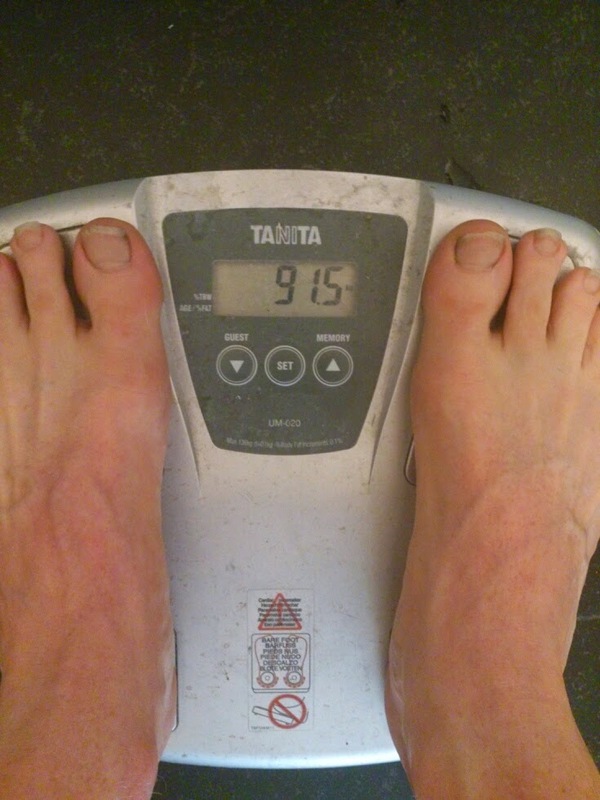 At 91kg I'm overweight. So the challenge for the next 16 weeks is to see whether I can drop enough fat to get down to my goal weight. I've got two primary goals. The first is to get down to below 85kg. I want to achieve that by September 11th. That date will be my 10th wedding anniversary and the last time I weighed less than 85kg was my wedding day. 2nd goal is to get down to below 79kg. My goal for that is November 13th, 16 weeks away from today. Last time I was below 79kg was when I was super fit, having spent 3 months biking around Europe and the USA. They're both challenging and difficult goals. I've tried many times before to lose the fat but have never been able to lose it and keep it off. I'll write more about the fat loss strategies I'm using in later blog posts. 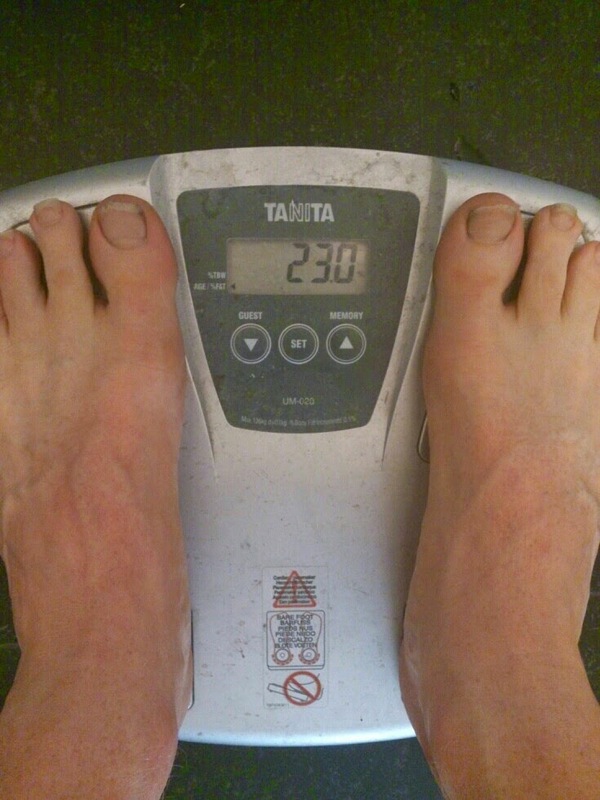 I want to sign off today with a photo of the scales when I weighed myself this morning. I'm going to take a photo every Sunday and post it on here to be accountable. Any support is very much appreciated so please leave a message here or e-mail me. And if you also want to tackle some goals in the coming 16 weeks let me know and we can be accountable to each other.